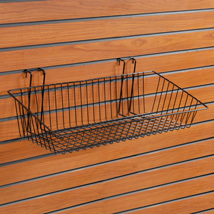 Slatwall baskets offer easy access to small items! You want practical slatwall accessories, you got `em! 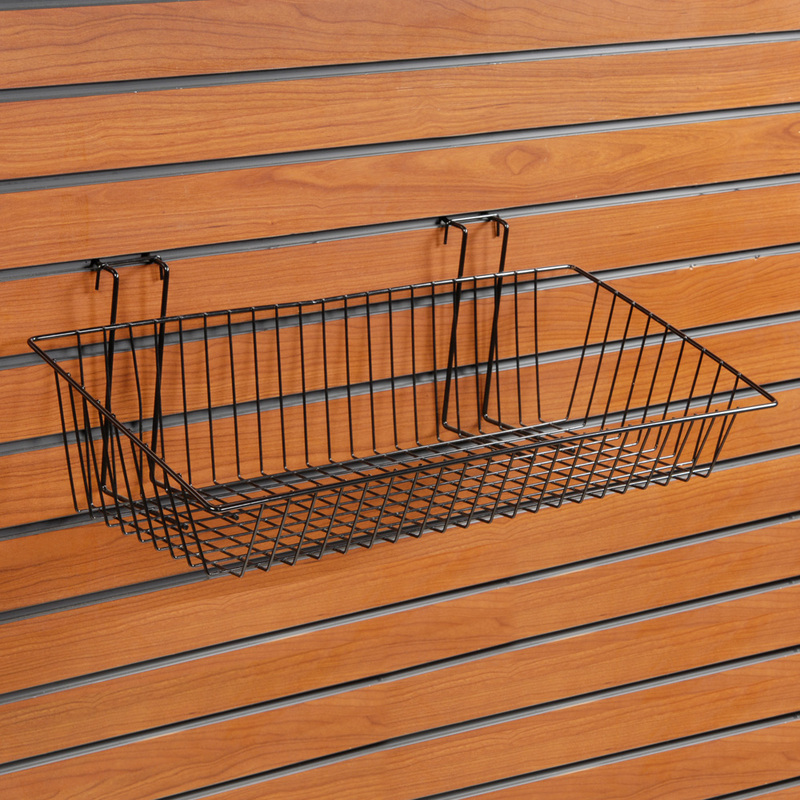 Designed with a slope from 6 inches in the back to 3 inched in the front, this 24-inch Universal Multi-Purpose Slatwall Basket is great for stocking blank tapes, DVDs, accessories, craft and scrapbooking supplies and candy. It easily fits gridwall and slatwall. Available in black or white so you can get the one that looks best in your store. 24"W x 12"D x 2-6"H Slope.